It has been exciting for us to participate in the construction of The Conrad, a brand new apartment community in Omaha’s historic Blackstone neighborhood. We have enjoyed being a part of the revitalization of this unique area located in Midtown. The Conrad, located near 36th & Leavenworth, will serve as an anchor in the Blackstone District. 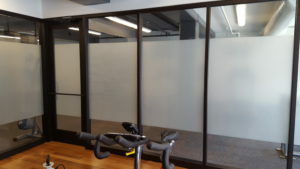 We are looking forward to sharing more details about this exciting project, but for now we are excited to share photos of the new yoga room. 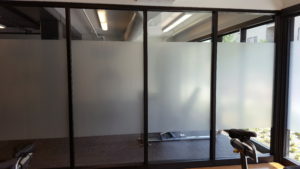 Design8 applied a film to the glass panel walls that we installed, creating privacy in the room while still allowing an abundance of natural lighting. 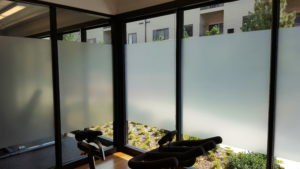 Visit our blog for more updates and photos from the Conrad Apartments and other exciting projects!